The core training for all early years settings and schools is the Introductory training unit. 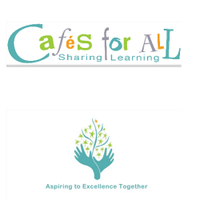 In this, the Café concept and practice are explored in detail so that all future Café practitioners are confident to run future Cafés and support all parents in developing their skills, knowledge and confidence in supporting, at home, their children's development and learning across the curriculum. Promoting a love of books and reading is key to this unit. Following this, the training needs to be put into practice, with cafés implemented and subsequently monitored and reviewed before 'Enhanced Café training' and 'Extended Café training' are considered. For some schools 'Enhanced Café training' and 'Extended Café training' will be appropriate and for others, this might not be the case.